2. Select Sign In from the upper right corner of your screen. 3. Sign in with Facebook if you created your account with Facebook, or sign in with your email address. 4. If you choose to sign in with your email address, enter your email address and password. 5. Select Sign In. You’re all set! 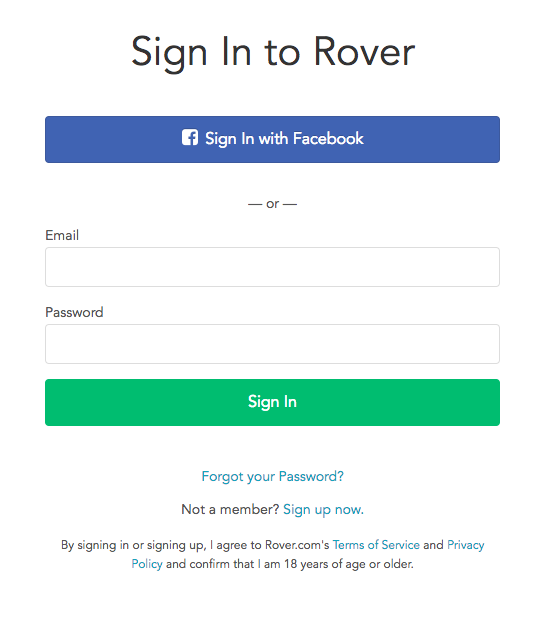 How do I unsubscribe from Rover emails?